Few subjects have been as addled, muddled, and befuddled as the issue of communist penetration of the American film industry. Thanks to liberals and their control of Hollywood, media, and academia, the typical take is that Hollywood in the 1940s was graced by a bunch of good-hearted “progressives” looking to make nice movies and a better world until Joe McCarthy, “HUAC,” and a swarm of red-baiting vultures descended upon some really sweet people fighting for the New Deal, for civil rights, for better government, for “social justice,” and for planting daisies all along Sunset Boulevard. The truth, of course, is something altogether different. 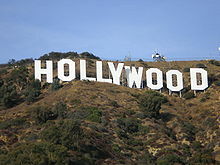 And few are better schooled in that truth than Allan Ryskind, who shares his life experiences on the subject in his excellent book, “Hollywood Traitors: Blacklisted Screenwriters—Agents of Stalin, Allies of Hitler.” This is merely the latest in a long line of literature on just how bad were the loyalties and actions of communists in Hollywood. Ryskind himself is the son of a Hollywood screenwriter, the acclaimed Morrie Ryskind, whose credits included (among others) his hilarious work for the Marx brothers—that is, not Karl Marx and his friends, but Groucho and his brothers. As for Karl Marx and friends—Joseph Stalin chief among them—they were the dubious cast of characters that many of Morrie’s fellow screenwriters were writing for. As a staunch anti-communist, Morrie knew better. He also knew many of his closet comrades and what they were up to. These comrades took literal marching orders from Stalin’s Kremlin. Most egregious, this meant that they followed Stalin even after the signing of the Hitler-Stalin Pact in 1939, which launched World War II via the mutual agreed-upon invasions of Poland that September by the Nazis and then the Soviets. Stalin aided and abetted Hitler in that apocalyptic action, leading to not only the deadliest war in American history but, of course, Hitler’s Holocaust. In that, Ryskind is wise to include the words “Agents of Stalin, Allies of Hitler” in his title. If the American left was not so blindly and shockingly ignorant to this crucial historical fact, liberals/progressives would be properly outraged that American communists supported the very Soviet Union that helped enable this massacre. Most of the 10 were extremely vigorous in their Party work on behalf of the Kremlin right up until late 1947 when they were called to testify before Congress. Some, such as Bessie, had literally traveled abroad and took up arms for the communists. The left could not have been more wrong about these guys, a scandalous historical error that predominates among liberal thinking to this day. The only one of the 10 ever to (as Ryskind put it) “renounce Communism completely” was Dmytryk. Allan Ryskind has provided an important contribution to our knowledge and the truth about the Hollywood Ten and the seriousness of communist involvement during film the industry’s Golden Age. Now comes the real test of truth: Will the American left acknowledge and help correct the false historical narrative it has created?